Tune in to Chris Brown's Life Money Hope Poscast to hear more! Making the jump to college is a big deal. Many high school kids have been going to the same school with the same people for so long that they’re more than ready to start the next chapter of their lives. After all, college gives them a chance to spread their wings and be independent for the first time. It’s exciting. But it can be a little rocky, too—especially if you’re their parent. Letting go can be scary. But it’s a necessary step for your kids to become adults. Whether you have kids in college already or you’re about to send one off, here are four tips to help ease the transition—and maintain a healthy relationship with them as they venture out on their own. 1. Encourage your child to problem solve. 2. Allow them to make their own mistakes. You can’t always swoop in and save the day. We don’t want to see our kids fail, but sometimes they need to fail in order to learn some difficult lessons that only come with defeat. It’s part of growing up! So while it’s tempting to want to be the superhero, you have to let them make mistakes and experience the consequences. Otherwise, they miss out on the opportunity to learn how to make better decisions in the future. When your kid goes off to college, it’s natural to miss them! And whether they admit it or not, they’ll miss you too. You may want to check in on them every day (or, let’s face it, every hour), but you need to give your child some space to grow into their independence. It’s important to respect their space and their schedule—especially in the first year. You can care without hovering. And if you want some consistency, consider scheduling a time to catch up once a week. You remember how tough it was to figure out how to do life on your own. When your kids go off to college, they’re suddenly juggling a new schedule, a new place, and a bunch of new people. It’s a lot to handle! Pray for your child during this season of their life—not only for them, but also with them. It’ll mean a lot to your kids and hopefully inspire them to continue seeking God on their own, too. Don’t worry if the going is tough at first. It’s going to take a while for you to adjust to this new season. But remember that you aren’t the only one trying to figure it out. 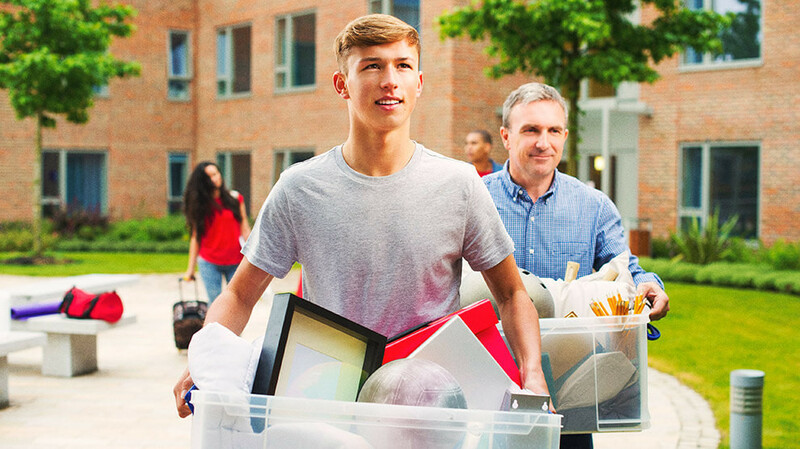 Your child is learning how to navigate their new role as a college student, too. Give them—and yourself—some grace as you transition into this new stage of life.